We accept most public and private insurance plans. We also offer special pricing for most procedures for patients not utilizing insurance. Click here to find out more! If you would like to print the forms for your initial visit, please click here! 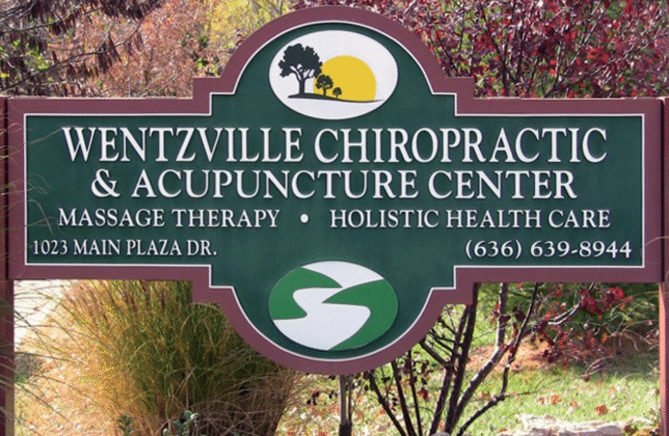 Our Chiropractors have been serving Wentzville and the surrounding areas for over 20 years. We are a staff of Logan College of Chiropractic Doctors with over 50 years combined experience who are dedicated to helping you reach optimum health! Our patients are our priority and we believe in personalized care based on your individual health concerns. Massage therapy is an ideal compliment to chiropractic care. We offer full 90, 60, 45 and 30 minute massages by licensed massage therapists. Following your massage, our office offers the use of a water massage table for a little extra relaxation. Yoga multiple times per week! For more information click here! ChiroHealthUSA~An alternative for patients not utilizing insurance plans allows us to discount your bill at the time of service. Presently Dr. Leah Owens is the only provider accepting ChiroHealthUSA. If you would like more information regarding this discounted plan you may either click on the link above or contact our office with any questions.